Taylor Mountain Regional Park and Open Space Preserve Master Plan | Prunuske Chatham, Inc.
Taylor Mountain Regional Park and Open Space Preserve is a 1,089-acre site in east Santa Rosa opened for public use in 2013, and distinguished by rich and varied wildlife habitat and panoramic views of the Santa Rosa Plain. 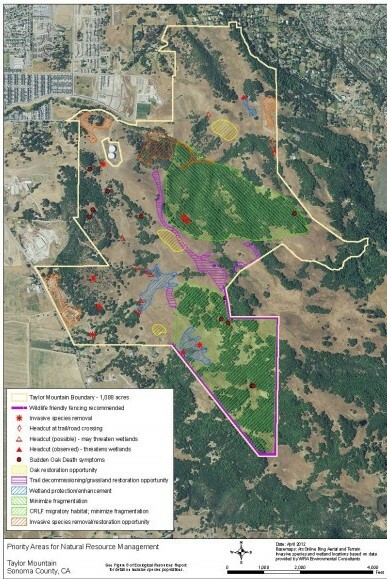 PCI was retained by RRM Design Group to assist with preparation of a Master Plan for the park for Sonoma County Regional Parks and the Sonoma County Agricultural Preservation and Open Space District. 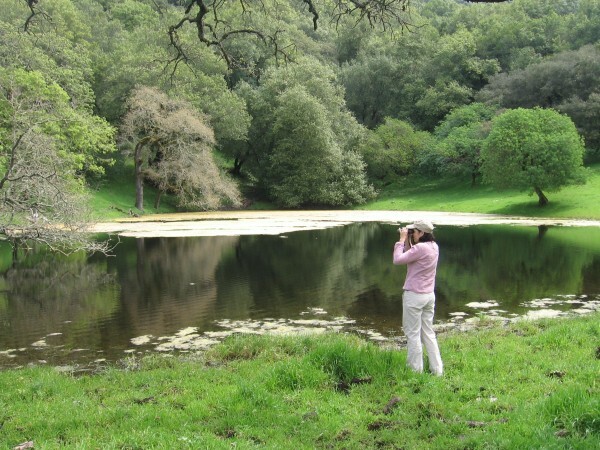 The District acquired the property to serve as a greenbelt at the edge of the City of Santa Rosa, to protect water, wildlife, and natural areas, and to provide easily accessible recreation and education opportunities. Balancing recreational access and a variety of other human influences is one of the central challenges for management of this unique, diverse area. PCI’s science staff completed field surveys, did a peer review of existing studies and maps, and prepared a comprehensive report summarizing existing and historic ecological conditions and processes on the property. Chapters were prepared for the Master Plan addressing the ecological setting; recommendations for balancing recreational uses with natural resource protection; opportunities and guidelines for habitat enhancement; and specific topics including invasive species, trail development, climate change, and monitoring.